Business correspondence plays an essential role in commercial transaction since it serves as an important way of contact in various business activities. A business letter gracefully and politely written will probably polish the company’s image filled with integrity and hospitality, which will convince the counterpart to cooperate with you and concludes series of business transactions. 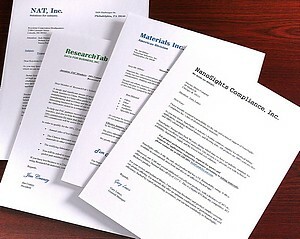 On the contrary, a rude letter will bring about side effects and damage the company’s image. Apart from compliance with the principle of completeness, clarity and concreteness, a perfect business letter entails appropriate tone and expressions and observes the politeness principle. Then what are the politeness principle and the characteristics of business trading correspondence? 1 To keep equal between the two parties. In business trading correspondence, two parties’ negotiations should be based on equality and mutual interest. To be too modest for politeness will backfire and lead to the doubt on your ability from the partner. E.g. you could rest assured that we would make every effort to effect the shipment as soon as possible so as to meet your demand. It is obvious. It would be better to change into we assure that we shall do our best to expedite the shipment. 2 To choose easygoing words. It’s said that, the more intimate, the less politeness in talking; while the less intimate, the more politeness. That’s why the politeness level among intimate social crowd is low and they speak more directly. Therefore, to properly lower the politeness level of language means intently improving the intimacy and amiability in speech to achieve the business objective. It is studied that nowadays more and more customer’s especially western companies intend to be fond of oral expression in fax or e-mail to create a relaxing and easy-going atmosphere to make smooth communications. For example, “nothing your enquiry about shipping mark, I will get back to you as soon as the information is available.” The informal expression “get back to you” can be used to replace the formal “replay to your enquiry” such expression sounds more relaxing and close, but not impolite. In a word, a polite business letter can expedite the conclusion of a business transaction. Just try to comply with politeness principle when you have to write a business correspondence. The author is a shopping enthusiast who always finds products online. And dealextreme is the most frequent website she visits to. Why Does Incorporating My Business In the United States Make Cents? So, you’ve been growing your business regionally and now you’re thinking about expanding into the United States or maybe you’re an entrepreneur who is not a citizen or resident of the United States and you want to start a business in the United States. Before you expand you ask the very basic question of why expand into the United States and what does the US economy have to offer me? Everyone knows about the wealth of the United States and the vibrant economy. The USA has a Gross Domestic Product (GDP) approximately forty-percent higher than most western European countries and Japan, as well as having one of the highest levels of disposable income for the consumer. Other advantages to expanding and incorporating your business in the United States include a business friendly regulatory environment, one of the best infrastructures in the world and an educated labor pool to meet all your business requirements. The United States celebrates the entrepreneur and has created a business environment that favors small business owners, whether they are US citizens or investors outside the United States. Small businesses, which are defined by the Small Business Administration as having fewer than 500 employees, represent 99.7 percent of all employers. They have generated 60 to 80 percent of the new jobs in the United States over the past year and account for more than 50 percent of non-farm GDP. The government promotes free trade and deregulation of businesses allowing owners to compete based on the merits and value of the product and services they offer. It also allows owners the ability to adjust the size of their work force easily with few ramifications. If a business has to lay-off workers it can do so without several months of advance notice. This is unlike a number of other countries which require several months advance notice to lay-off workers. In addition the US allows profits and capital gains to be repatriated to almost every country, subject only to taxation. A key to expanding and reaching your customers is ease of accessibility to the market. Can you get your goods or services to your end user and if so what is the cost of delivering your products or services. Because the infrastructure within the United States is so outstanding a business should never have a problem with distributing the goods or products to customers in the United States. There is not a place or customer within the United States that you cannot reach either via phone, internet or roadway. The United States has 268 million land line telephone users, over 194 million mobile phone users, and over 203 million internet users. There are over 14,000 airports with 5,000 of those airports having paved runways. If you do not want to have your product delivered by air or you do not need to fly to a destination you can drive or take a train. There are over 6,407 kilometers of roadway with 74,000 of them highways and 227,000 kilometers of railway. Every business owner knows that they must rely on their employees to help implement and execute their business plan if they are to be successful. The United States work force, whether it is laborers or skilled employees are experienced and well educated. The likelihood to comprehend, implement and successfully execute a business plan is much higher with an educated work force than with a non-educated work force. Additionally, if the business requires a technically skilled employee, you can draw on a well educated and skilled pool of individuals from any sector, whether it is research, technology, healthcare, retail, manufacturing or construction. Finally, launching and incorporating your business in the United States, although it has never been easier, is still a daunting task. A key factor in determining your success is finding key local resources and using the right tools to help you implement, execute and manage your business plan and communicate the performance and progress of your business. A trusted local resource, such as a local CPA firm, combined with right tools will allow you to manage and monitor your business remotely. Now is the time to take advantage of the US economy and expand your business and launch your new corporation in the United States. Michael Beauchemin is Marketing Director for Incorpinusa. A company dedicated to helping non-US citizens incorporate and manage businesses in the USA. Visit us at www.incorpinusa.com to see how we can help youincorporate and launch your business in the USA. Politics and Business are so similar in a large number of ways. Sure politics is even dirtier and generally played by less ethical homeowners and yet the similarities are often uncanny. Perhaps a brief point-by-point comment on this subject will open a new perspective on this subject. Below are a few similarities to help the thinking juices flow and allow some conceptual thoughts. 1.) In politics you must canvas the area using data about the voters; in market you use demographic software to gather info about the customer. 2.) In politics you have to get the voter to obtain a decision to vote for your candidate; in business you have to get the consumer to choose your product or tool in your competitor. 3.) In politics you must employ various methods to reach the voter; In boom any great re&wshyp;selling plan uses multiple media, mediums and methods to reach the consumer. 4.) In politics you must show how your candidate is higher and different; In business you must show how your type is best. 5.) In politics you must get those people to the polls to vote; in business you must get those people in the door of your business to buy something. 6.) In politics you must win or you are forgotten; In business you must beat your competition and the patron should buy according to you or you go out of business. 7.) In politics the customer decides with his or her vote; in business your voter buys your product or service with his or her dollar. I hope this philosophical discussion allows you to see business from a several perspective and if you are in business and considering politics, forget it. Business is a much better game than politics and as a politician might say; You Can Trust Me on This in 2006. Should Politics be Kept Out of Business? Do politics and business ever meet? Of course they do, because there is a reciprocal need between the two in every democracy. Politics equals power, but it is nothing without the money it needs to realize it; any business is mainly about money, but it also demands a secure presence, which actually means consorting with power, and thus with politics. Another similarity between the two is that they both require the presence of the citizen, either as customer or as voter. Theoretically, the citizen’s freedom of choice is nearly perfect. But in practice, both business and politics resort to all sorts of techniques to draw their voters or customers, such as the media, celebrity endorsements, movie starts, appeals to passion, sentiment and psychology, and so on, and so forth. Whether we are talking about marketing, or about electioneering, we can refer to both of them in terms of campaigns. In both business and politics, the battle exceeds any metaphorical level, and the amount of money spent in either of them is rising every year. And all that, just to convince us, voters and customers, that they are worth our attention. When a business tries to promote a product or a model at a national level, it encounters the same problems and difficulties that a party comes against when attempting to capture several regions. Scale is extremely important, by definition, but that naturally comes with a demand for standardization. A business that needs security cannot separate itself from politics, because that’s where the power is. Some businesses find it in their own interest to sustain rather close working relationships with politics, because separating the two is almost impossible when you are faced with a reactive situation. Many countries have both public and private traders, which means that keeping your business away from politics is virtually impossible if you want to keep doing business with that country. And the economical prospects and financial benefits are so appealing that the connection between politics and business just doesn’t seem to have any importance. In the sensitive political regions, the marketplace is subjected to change daily. In fact, the entire international marketplace can change very quickly, from year to year, or even from week to week, which is why companies have to learn how to stay alert to change and have flexible attitudes and approaches. But above that, they have to ensure security for themselves, and what better way to that than to become involved with politics, which ultimately is about power? On the international marketplace, relationship between politics and business is critically important, and its importance increases as time goes by. As much as any business would like to be poisoned away from politics, this is simply impossible, because behind each government there are political drivers, and the ‘mines’ that appear in front of a certain company or organization are far more numerous and powerful, should it try to detach itself completely from political affairs. Business and politics interact, whether we like it or not, and they can influence each other in many ways, not all of them bad. For instance, a bad political climate can seriously influence economic growth, but fortunately the process can go the other way, too. How powerful is politics in business? The connection between the two is often hard to explain, but somehow they are closely connected. Did you ever happen to lose a job or a promotion in favor of a person who hadn’t worked harder than you, or made more significant contributions that you? Was it that person’s character that got him/her the job, the fact that he/she knew everyone around there, or could it be that you simply did not understand the politics going on around that business? When we hear the word ‘politics’, we naturally think of politicians, political parties, political strategies, and so forth. But have you ever considered the term ‘politics’ from a business point of view? When it comes to politics in business, the former means the difference between failure and success in the latter. And, more often than not, politics can define one’s personal career. You can enjoy benefits or suffer penalties as a result of the way politics influences every business. If you happen to be among the most appreciated employees, decisions may go your way, but if you are ‘invisible’ to your bosses or they have nothing but ill feelings for you, some penalties may be coming your way. When it comes to business decisions or work environments, we often hear expressions such as ‘it was nothing but politics’ or ‘that place is very political’. What do these expressions mean? And how can you be part of the game, and know how to play your politics? When you have managed to build a strong relationship with your customers, you understand the business thoroughly, and you are respected throughout the organization, but your superiors still think that you’re not doing well enough, this could be a clear example of people using politics to drive their own personal agenda. It’s only fair to say that there’s no business without politics, and that its level of sophistication depends on the size of the organization. It’s understandable that the complexity of politics is proportional with the size of the company, because, after all, politics means power, and the more players are involved in the game, the more there is at stake. Like everywhere else, we can speak of bad politics and good politics in business. Good politics refer to building strong networks at all the levels of that company or organization, spending time with employees from all levels, having a solid understanding of the keys to the success of the organization, and so forth. Good politics in business is about sharing information and encouraging other people to do the same thing. Bad politics refers to exactly the opposite. In the end it all comes down to driving your own agenda, as mentioned before. However, deft leadership should not be confused with bad politics in business. The two are very different. Unfortunately, it seems that bad politics has got its share of businesses, and we see more of that than of good politics, because there are more bad politicians than there are good, and the former still continue to make the rule. But, in the end, it is up to you how you play the game.